If you want to improve the look or versatility of your Nissan vehicle, stop by the genuine parts and accessories department at Trans Canada Nissan today. We have everything you need for your Nissan at great prices. Moreover, we have the expertise to install your parts and accessories once you’ve found exactly what you need. At Trans Canada Nissan, we will take the time to help you find the perfect genuine Nissan part or accessory. We’ll listen to better understand your needs and help you find what you’re looking for based on the information you give us. At Trans Canada Nissan, we’re always here for you. Stop by today and discover our extensive range of Nissan parts and accessories, which includes bike racks, roof boxes, trailer hitches, summer and winter wheels, and much more. 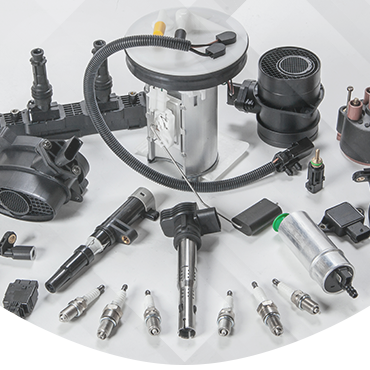 Regardless of your needs, we’ve got you covered at Trans Canada Nissan when it comes to genuine Nissan parts and accessories. Let us help you today. Trans Canada Nissan is your number one destination for all of your winter and summer tire needs as well. Regardless of what you’re looking for, we’ll help you find it at our genuine parts and accessories department.